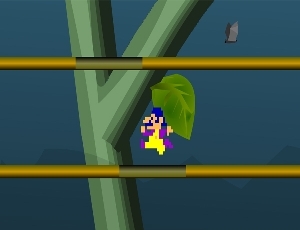 Description: In this game you have to get the keys then jump through the levels to get to the top of the jungle. But avoid all the traps and bats that will make you fall down. If you go from one end of the play screen you will come out from the other end. Have Fun!